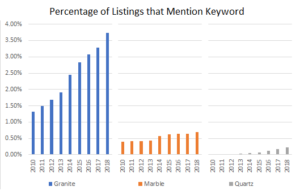 When it comes to countertops, granite is a rock-solid choice, but quartz is a notable up-and-comer.So far this year, 3.7 percent of all listings included a mention of ‘granite,’ making it the most common keyword we analyzed. ‘Marble’ is also growing in popularity. In 2010, 0.4 percent of listings mentioned marble, compared to 0.7 percent of listings in 2018. 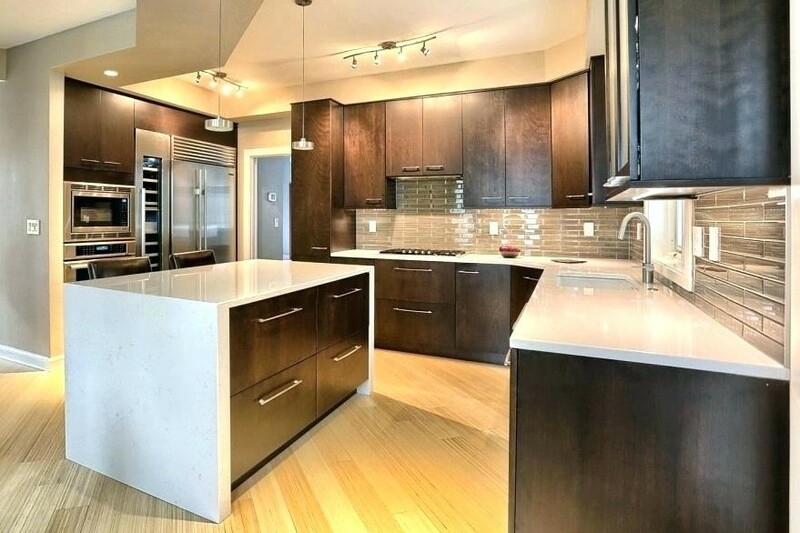 While marble is mentioned more often than quartz, quartz is growing in popularity at a faster rate. Buyers have spoken, and they still love breakfast bars and islands. Appearing in 1.25 percent of all listings this year so far, breakfast bar was the third-most commonly mentioned keyword and continues to grow in use. In 2010, just 0.3 percent of listings mentioned the term. Many buyers are keen on kitchen islands. In the HelloFresh survey, 64 percent of respondents said a “big island” is a must-have feature in their dream kitchen. Redfin analyzed the online descriptions for millions of homes that were listed on the market between 2010 and 2018. Redfin counted the number of listings that mention specific keywords related to the kitchen and calculated their popularity and the change in popularity year over year.